Company Profile : Panchmukhi Astrological strongly believes that Astrology is one of the branches of science, which has the power to understand the aspects related to human destiny. The destiny is judged on the basis of past karmas, emotional bondages, freewill and continuous working of chaos. We offer a full range of horoscopes - Zodiac and Personalized Horoscopes; The reports will give a detailed view of your life, the transitions it is likely to go through, and the factors (read: planets) that are likely to bring about these transitions. Astrology is a system used to assess, forecast, and improve the quality of our lives. 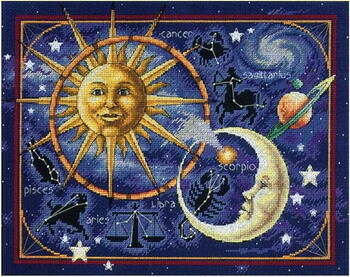 In astrology, the horoscope represents the karmic map. Astrology helps us live a more peaceful, conscious, and happy life. You may ask me any question in any field related to your Marriage, Health, Love, Finance, Business, Career, Exam results, etc. Get your detailed horoscope reading and predictions which is based on Indian Astrology (Vedic Astrology) consisting of complete Vedic Astrological Charts showing the exact position of all planets at the time of birth, their relationship with each other, and explanation of different planetary positions in conjunction with various houses. The nature and role of various planets, their Auspicious and Inauspicious results and General Predictions based on the ancient Vedic Indian Astrology system. Astrology can give you a deeper understanding of all your relationships -- with bosses, siblings, parents, children, friends and partners. Comparing a couple's birth charts alerts them to areas where their natures could come into conflict. Known as "synastry," this kind of analysis points out areas to challenge and support each other to fulfill your individual destinies. Astrology shows where karma is being played out, with hard but necessary lessons, and the potential for an alchemical miracle to take place over time.